Three days ago, I had to park on a very steep hill so I applied the parking brake. I don’t recall ever having to use it before, but this was a really steep hill where, if the car had mysteriously jumped from Park to Neutral, it would have had a running shot to roll backwards, across two lanes of traffic and over an embankment. I didn’t want to take the chance. When I returned to the car, I released the parking brake and drove away. Two days ago when I was driving, I had to pull over because the car was making a noise and it felt like a wheel was falling off. I got out and looked at all of the wheels. Everything looked fine but I had concerns about driving any further. So I called my husband whose knowledge of everything truly amazes me. He – My version of what he said, “Well, the …. 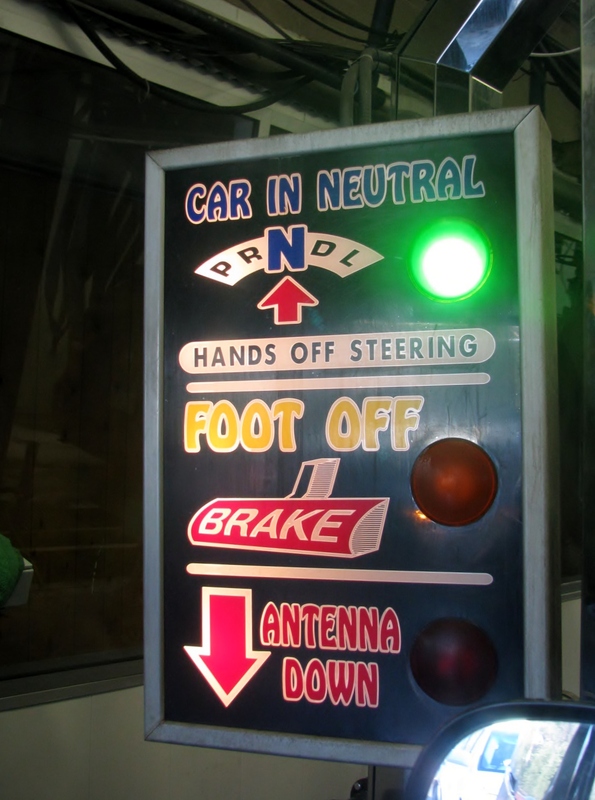 parking brake … line … stuck … blah, blah, blah.” I have a tendency to tune out when the discussion is about what actually makes the car go. I only want to know that when I start the car, it will take me where I want to go. I go to the drive-through car wash regularly so I know the routine. The sign says, “Car In Neutral, Foot Off Brake.” Usually I have kids with me and they like to climb in the back of the van and hide, pretending to be attacked by a giant sea squid, but today I was alone. As the car began to coast through, I took my phone out to check messages. I felt a little bump. I didn’t think much of it because the little rollers push the car wheels and it felt like one of those had bumped the tire a little bit. The problem was, the car should have been moving forward, but because of the squid tentacles and soap suds covering the windows and the fact that I was looking down at my phone, I didn’t notice that it wasn’t moving… at all. And then it happened again and the bump was really hard this time. I was rear-ended inside the car wash and I think it was my fault. I should have been listening when my husband described the issue with the stuck parking brake, because although it was no longer vibrating and making a noise, I think it was still stuck. I’m not sure who alerted him, but soon there was a car wash attendant knocking on my window. It was at this point that I noticed that the squid tentacles had stopped moving and and so had my car. I opened my window and the soap ran in. He explained that there was a problem and that for some unknown reason, my car had ceased to move forward on the track. “Did you put your foot on the brake?” he asked. “No,” I replied, because technically, I had NOT put my foot on the brake. He asked again. “Are you sure you didn’t touch the brake pedal?” As I sat there pondering how to best answer that question without looking like the fool that I was, the kind gentleman driving the car behind me yelled, “NO. I was watching and there were no brake lights.” Phew. I’m so glad he was paying attention or I might have had to tell the car wash attendant my parking brake story, which I am certain he did not really want to hear. Then I would have had to admit that I was the reason that the car wash had to be stopped and people were getting out of their cars inside the car wash and the line of cars was out the door and around the parking lot. Embarrassing? Just a little. I’m not sure if the parking brake was the issue or if it was some sort of car wash malfunction, (pretty sure it was the parking brake though I can continue to deceive myself into believing otherwise), but I am ever-so-grateful to the man behind me who was watching my back, literally, and who spoke up. Thank you! You will be able to spot my car now from outer space in the Google Earth satellite photos. It will be the one riding along in a cloud of dirt and dust, like Charlie Brown’s friend Pig-Pen, because I will never, ever go to the car wash again. Ever. I will ask my husband to go next time. Some cars should never go through a carwash because of the high pressure water that sprays into the engine compartment. Can kill the ECU and other critical electrical connections. In my case, it was because the emergency brake was a bit stuck, but thank you for the information. I’ll keep that in mind. Merci! Wow! I have the exact story. It’s terrifying being stuck in a car wash, and the car wash attendants are thinking you’ve done something wrong. I, from now on will not go through a car wash. I will wash it myself, and save a few dollars. I just today witnessed my first automated car wash incident. The guy ahead of me did not place both front and back tires properly onto the driving mechanism and his car slipped off of it within the car was. I felt so bad, but ended up calling for help and the situation eventually resolved. 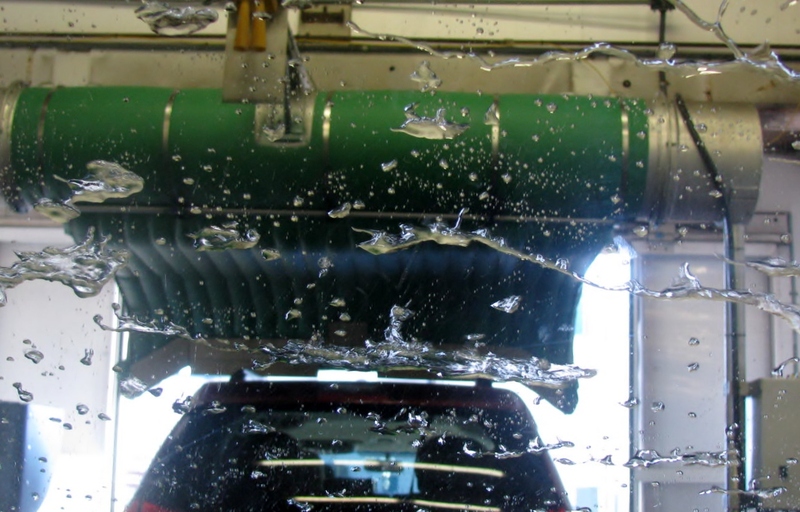 I feel these “automated” car washes are great for those who know their cars and where their tires are placed. Otherwise a similar issue could easily occur.